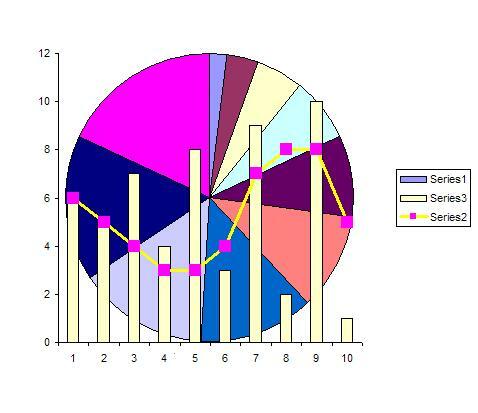 Any charted data series can be converted to any chart type, in any combination, so long as you do not attempt to combine 2D and 3D chart types. Create a chart that displays multiple data series. A simple line chart will do. Next, right-click on any one of the charted series and choose "Chart Type" and pick Pie, or Column, or Bar. You are not stuck with the few prepared charts provided by Excel. Create your own.